Since taking the chop and going short, I have missed being able to do braids in my hair! Sure, I could still do some basic braids, but I do miss being able to do all those funky braids. Don’t get me wrong, I love my short hair but sometimes it’s nice to just mix it up. Similar to trying different outfit combinations, it’s fun to try different hairstyles. That is where Irresistible Me hair extension clips come into play. You can do so many different hairstyles with longer hair. With Irresistible Me Silky Touch hair extensions, I can do so many more hairstyles. I can use them to get longer braids, thicker buns, and overall fuller styles. For this review, I am going to separate it into 3 different parts: quality, color, and blendability. Comes in secure and protective packaging you can reuse. Barely has any hair shed. The quality of these hair extensions is great. 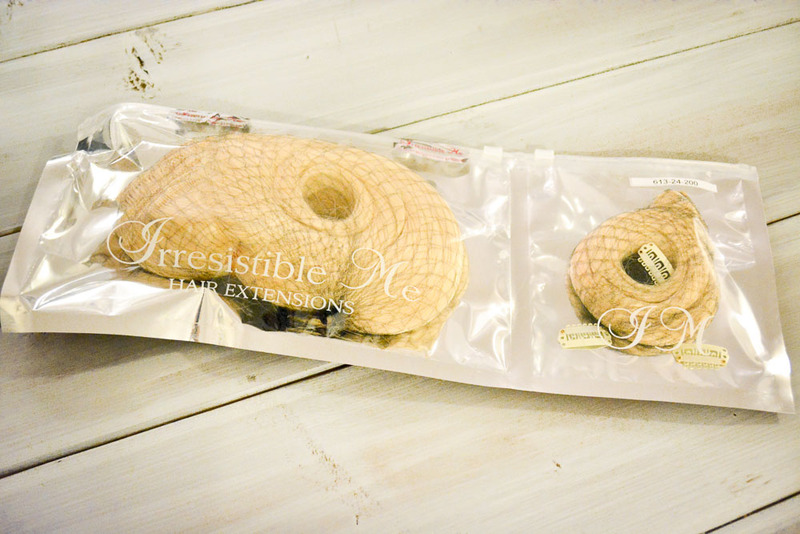 Compared to other hair extensions I’ve had in the past, Irresistible Me has the best quality. When I have the hair extensions in, it feels just like my own hair. It is 100% human remy hair after all, the closest thing you can get to unprocessed hair. So far I have washed them, cut them, and curled them and there has been very little hair shed. In hair extensions from other brands I’ve owned, when I would brush through them there would be a ton of hair left on the brush afterwards. With Irresistible Me, there has been like 4 individual strands left on the brush after brushing, that is awesome. In addition, the extensions come in a plastic case inside of a box. The plastic case zips and has two compartments. One of the compartments has a sample weft, more on that later, and the other compartment is bigger, containing the rest of the hair. After using my extensions, I store them in the plastic case so that they don’t get ruined. This preserves the quality of the hair extensions and will make them last. Ability to compare your hair to a sample before opening the package to be able to exchange. Irresistible Me has two videos to help you decide which color would best suit you and you can view them here and here. These videos helped me decide on the color Silky Platinum Blonde (#613). Upon receiving the extensions, they seemed a bit yellowy for my hair so I gave them one wash with purple shampoo and they matched my hair perfectly. They also give you a sample piece (a 3 clip weft) to compare to your hair to make sure you ordered the correct color. If the sample does not match your hair as closely as you thought then you can exchange the whole package of hair extensions to get the right color without opening the main compartment containing all of the extensions. If the sample matches then you can break the seal on the rest of the hair to keep. If you look closely at the hair in the extensions, you notice there are a few dark brown strands and variations. These tiny variations make it so that they will blend perfectly with multiple varieties of whatever color you got, in my case a light blonde. If you think about it, you don’t want hair extensions in one solid color because natural hair can have lighter strands and darker strands due to the sun and other factors. This makes Irresistible Me hair extensions colored perfectly for blending. Clips are same color as hair. Mimics real hair growth by being thinner at the ends. 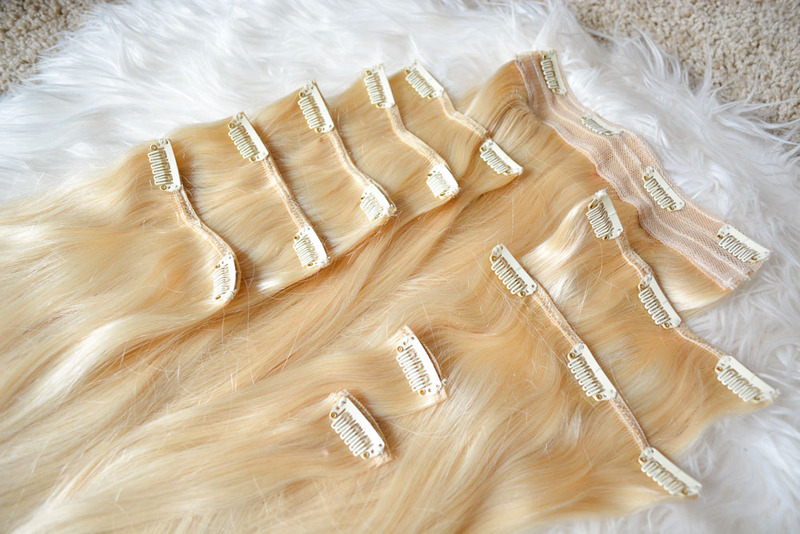 The hair extensions clip in to be able to blend to your own hair perfectly. 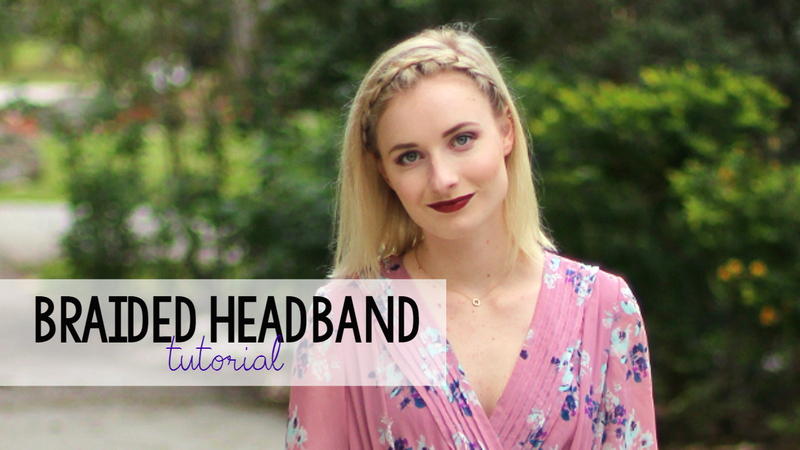 Wherever you need more volume, you can add a weft. This helps with having a side part so that I can clip a few more wefts onto the side of my part with more hair. The blendability for these extensions is great. When I have them in, it looks as if my own hair grew overnight. They blend to look like my own hair, which is what you want in extensions. To style these, you can curl them, straighten them, and do just about anything you would normally do to your own hair. The ability to easily style them is what gives them the ability to blend great. 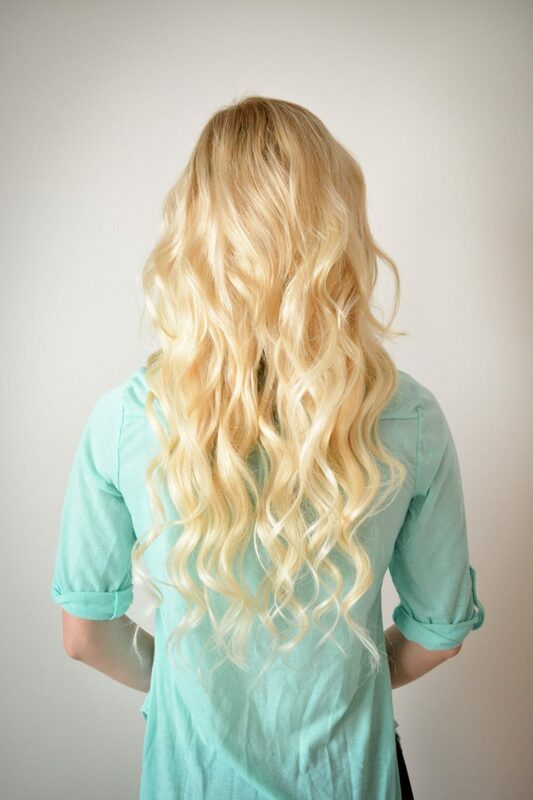 Also, to mimic real hair growth, the extensions are thinner towards the bottoms. With mine, 24″, the ends were just too thin for me and I ended up having my mom (who is a hair dresser) cut about 3 inches off. 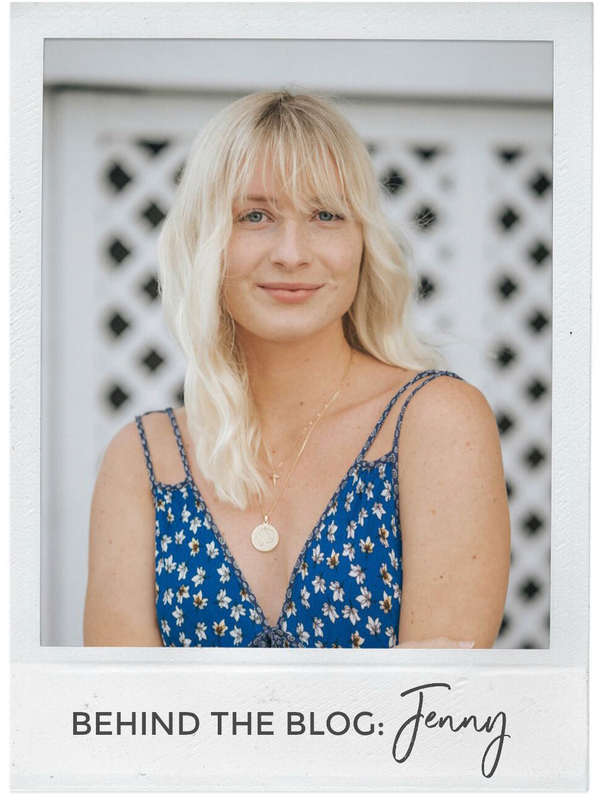 So if you are looking for longer hair, I would recommend sizing up to a longer length so that you can trim them instead of having super thin ends. I had my mom cut the extensions but there wasn’t much that needed cut. She added a few layers too since my own hair is pretty short but I could have gotten away with not cutting them because of how well they do blend. If you want to get yours cut, I would recommend putting them in and having your hair dresser cut them, don’t do it yourself. Overall, I definitly recommend Irresistible Me Silky Touch hair extensions. The prices are reasonable and they are constantly having sales. 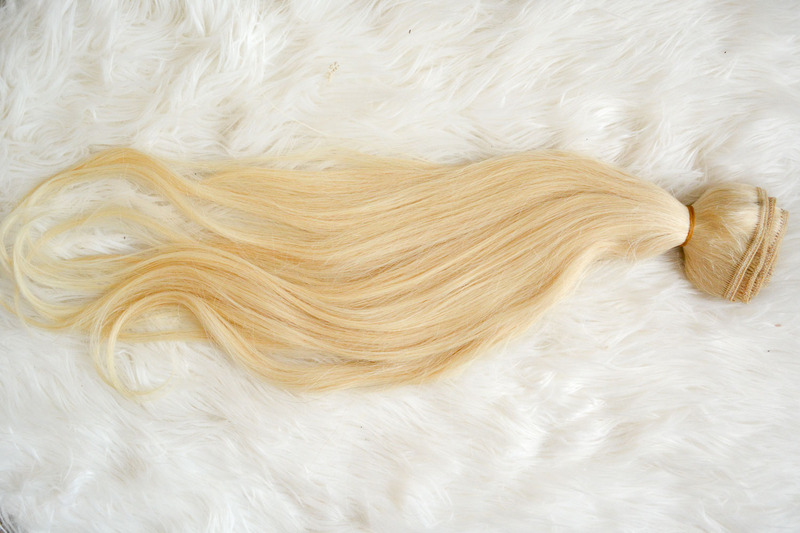 Right now, you can get the same hair extensions as me (#613 Silky Platinum Blonde in 24″ weighing 200g) on sale for $183. I love mine and will be doing a lot more hair tutorials in the future so be on the lookout for those! Thanks for reading and I hope this review helped! *Extensions c/o Irresistible Me. All thoughts and opinions are my own.